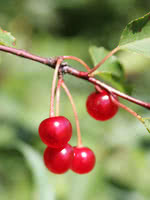 Cherry Prinsepia is an attractive, cold hardy shrub with thorny stems and a rounded shape. 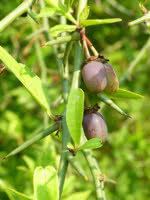 Primarily used for its shrub and hedge characteristics, Cherry Prinsepia is also grown for its ornamental fruit. Tart in flavor, the red berries are edible and enjoyed by birds and humans alike. 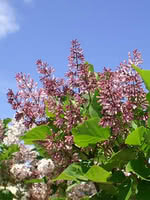 If deer are an issue on your property, try planting Cherry Prinsepia in a tight row to create a dense hedge to deter them. Greenhouse grown seedlings. True to type and vigorous. Sorted for size and form.